The defending state champions, Pine Crest, are the slight favorite to win their second title in a row and in school history. Their number one, Tsion Yared, pulled away from a tough Nicole Matysik of Key West in the last half mile to win going away by 30 seconds. She may be able to win her second championship of her career which would help their cause. But Pine Crest enters with some question marks. Maya Beleznay has not come within a minute of her season best of 18:30.40 from PreState in the last month and was 63 seconds behind Yared at the Regional meet. 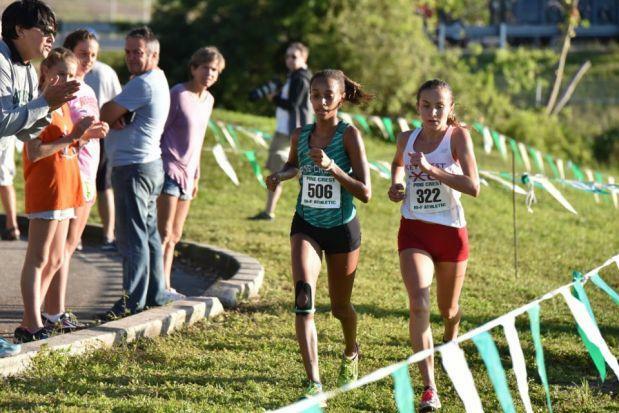 Mahdere Yared has not competed in the state series and in her last competition, she ran 20:57.03, well off her seasonal best of 18:38.98 run at the Hurricane Irma meet on Sept. 23. They'll need big efforts from Emily Faulhaber, Amanda Schwartz, Cassie Lawlor and Lorrie Axelrod to have a chance. 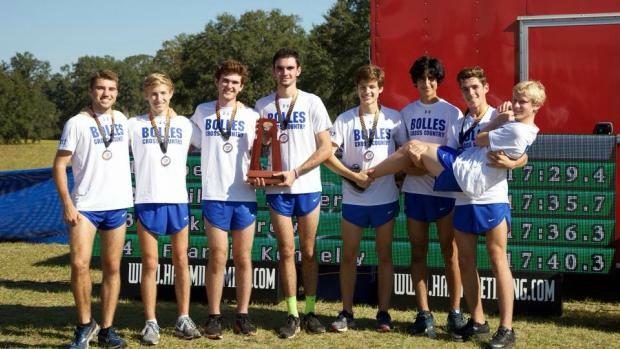 Bolles put together a strong effort at Regionals, placing 7 runners in the top nine to win easily. They went out in a pack at a controlled pace and finished within 12 seconds of each other. 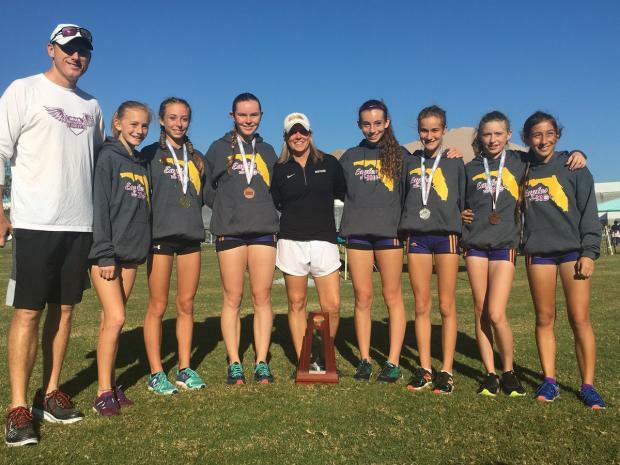 With their depth, their sixth and seventh runners could play a big role in the team scores as they could knock back Pine Crest and Montverde's top five scorers down in team scoring just enough to give them the edge they'll need. They have only one senior, Rachel Shapiro, amongst their top seven so their young crew will need to race like veterans. 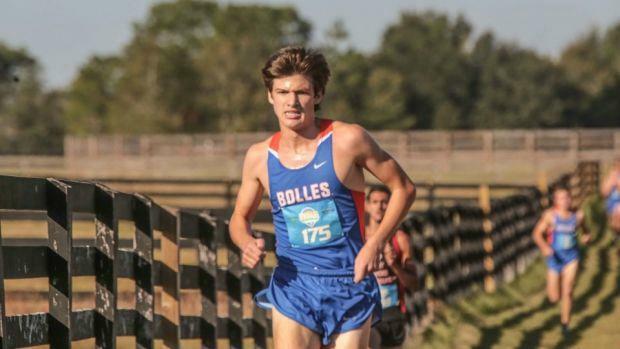 A win would bring Bolles to eleven titles in school history. They would move into first place for the most titles won by a girls team and the most titles won by a girls or boys team. Head Coach Tony Ryan will move into a first place tie with legendary coach, Roy Harrison, for the most girls' team titles in a career. And will move into a 3 way tie for second place for the most boys and girls titles in a career. Montverde could pose a threat to the Bulldogs. Kendyl Cardwell and Lily Henne provide a good 1-2 punch up front. Nicole Meers and Ryleigh Sperry are rounding into form with Jayci Brauman a better than average fifth runner. They'll need big efforts from their 3-5 though to make a run at the title. A win would be a first in school history. This race has no clear front runner. All the top ten performers have run in the mid 18s with no one head or shoulders above the rest. Tsion Yared's big win a regionals over Nicole Matysik shows that she is a strongest of all the contenders for the individual title. 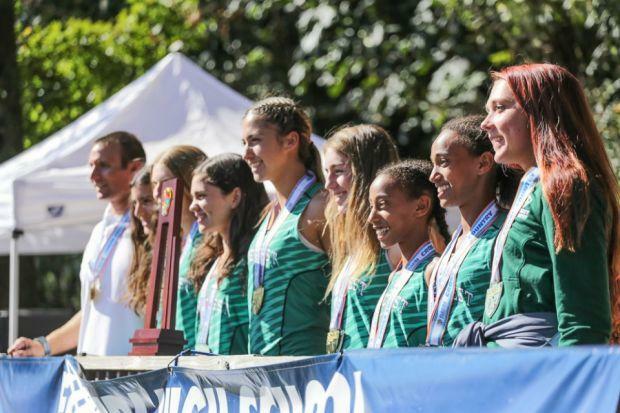 The 2014 state champion (as a 7th grader) is running her best at the perfect time. Matysik will have to rebound from that loss and see if the fast Apalachee Regional Parkway course gives her a better result. Montverde's Kendyll Cardwell and Lily Henne are looking good as well. They ran within 15 seconds of their best times on a regional course that had a lot of turns. If they are able to hang with the pack, they could have a chance. After last year's race, Bolles was declared the winner. However, Mike Hill, the Trinity Prep Head Coach, had his team scored ahead of the Bulldogs. After further review a Saint's runner's chip did not register and after the credit was given, the Saints came out ahead by 14 points to claim their eighth team title and fourth team title in a row. The Bulldogs return five from that team and are overwhelming favorites to win their first title since 1985 and stake their claim to the best team in the state all classes. The Bulldogs look primed and ready to go for this Saturday's state meet. They crushed the Region 2 field winning by 40 points placing their top seven in the top seventeen. 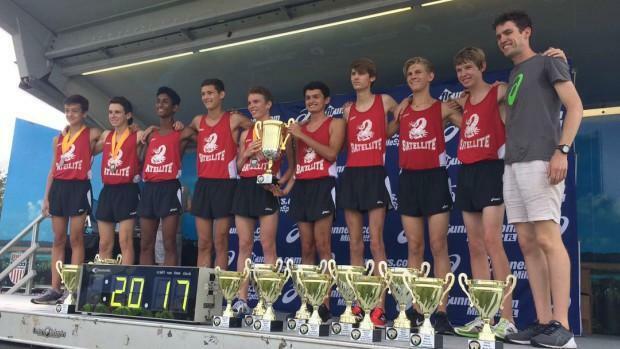 They've been battle tested finishing 7th in the Great American Cross Country Festival Nike Boys Race of Champions and have raced the state minimum four races during the regular season so they'll be fresh. On paper, their top five and possibly six runners could finish ahead of the next best team's (Satellite) number 1 runner. 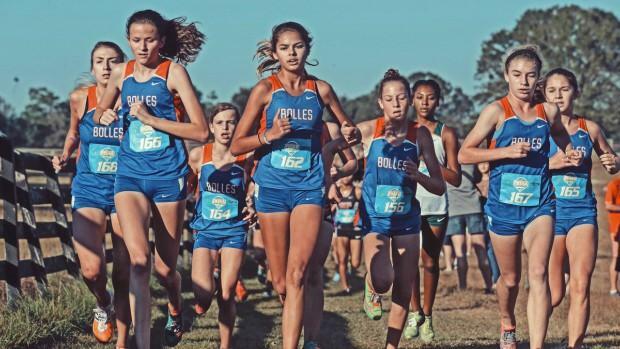 Bolles has only two seniors amongst their top seven so this could be the beginning of a title run not seen since they won three titles in a row from 1883-1985. Had the Galloway brothers not transferred to Oviedo, this could have been the makings of historic team battle between Bolles and Trinity Prep, but it is not to be. Trinity Prep is poised to battle Satellite for the second spot and it will be a dog fight as Satellite's pack of Walker Hirsch, Gabe Montague, Charles Dickinson, Rahul Koshy, and Colby Steger will try to upend the Saints' tough trio of Trent Turbyfill, Richard Woodruff and Sean Leiders expected high finishes, though Leider has not approached his seasonal best of 16:14.62 he set on Sept.2 in the state series' first two races. If Bolles falters and Satellite wins, it will be the first title in school history. Trinity Prep would add to their ninth championship and fifth title in a row if they win. Charles Hicks IS THE MAN! Since last year's state meet, I have been a big fan. He ran toe to toe with favorite Caleb Portorff from the gun. He never flinched and when there was separation between the two as they passed the huge scoreboard that Saturday, he did a gut check, dropped his chin and closed the gap, not succumbing to the doubts and fatigue that may have entered his head and body. The result was a 0.99 second loss to the FSU bound Portorff who went on to run 8:52.67 for 3200m at Arcadia Invitational in the spring. Hicks' time is best 5k time by a sophomore in Florida state history. Hicks' track season didn't go as well, but he said after the regional meet that the injuries he suffered are behind him. He said he's been very skeptical of everything and so far he's had no recurrence of the knee injury he credits to some form related issues that had him leaning to one side injuring a knee tendon. "I have to keep up with my physio and drills and before each run I have to do this weird walking," he says with a laugh. "It works. It works like magic and I am so glad it does so I can be out here today." He's not looking past anyone. In fact, when asked what it felt like to have the target on his back, he said, "I still have a guy I'm looking at. Paul Stafford is going to put up some fierce competition," he said. He added. "I try to take each year as humbly as I can. I don't go in too confident and have it cost me in the end. I'm looking at Paul and trying to figure out what I can do to beat him. Basically plan my race. Outwork everyone is our team goal. So basically, the person who outworks the other usually wins." UNDEFEATED- That's right! Paul Stafford has had an incredible senior campaign and comes in with no losses. That includes a one second win over aforementioned Charles Hicks at the Katie Caples meet, a run away win at the FSU Pre-State Invite, and a new course record on the challenging Holloway Park course last week at regionals. Stafford has last year's state meet gnawing at him. He came in with a great performance on the same Holloway course to finish a disappointing 37th with a time 40 seconds slower than his regional meet time. He strung together a great outdoor track season, capping it off with a fifth place finish in the 3200. He's upped his mileage under the guidance of Coach AJ Richmond and seems the better for it. But as Mark Nenow, the former American Record Holder in the 10,000 meter Road Race (27:22), once told me, "I was never able to triangulate my performances so I could be good on that one day I needed to be." If Stafford is able to triangulate his fitness and psyche to run at his best on Saturday, his wont for pressing the pace and breaking everyone may just pay off in the end. He's also shown some tactical savviness this year as he patiently waited until the second loop at Pre-State to blow open the race. 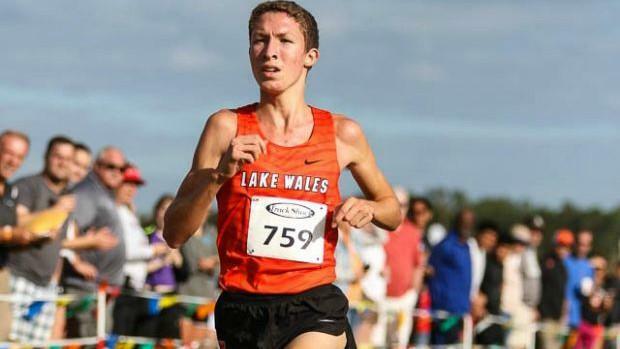 At stake could be the course record of 15:01.80 set by Leon's Sukhi Khosla in 2014 and Creekside's Jimmy Clark's 5k state meet record of 14:58.87 set in 2010 at Little Everglades Ranch. Rockledge's Kenneth Clark's 14:07 for three miles set at the Deland Airport course equates to anywhere between at 14:37-14:39 for 5k and will be out of the realm of possibility Saturday. If Hicks wins, it will be the second title in school history. The first was won in 1985 by Andrew McCabe who served as Acting Director of the FBI until August 2, 2017 before returning to his position as Deputy Director of the FBI. If Stafford wins, it will be the third title in school history behind Richard Kneeland's win in 1961 and William Jeffries win in 1997.